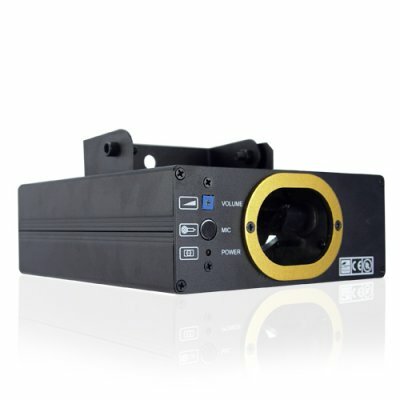 Successfully Added 30mW Club Green Laser Projector For DJ's and Parties to your Shopping Cart. With an adjustable bracket suitable to allow installation on walls, ceilings and floors, this is perfect for installation in any indoor environment. The CVLC-G132 is in stock now and available at an incredible factory direct wholesale price from Chinavasion. Photos and Graphics by: T.L. I bought this for my daughter to host a Halloween party. Works awesome and the effects are great. You cannot beat this unit for the price! Sure it doesn't project images of characters or anything but the effects are very nice and can change with the music depending on the sensitivity of the mic. Since I ordered this, I have placed two more orders with Chinavasion totaling about $1000 CAD. They are A1 to deal with and the shipping is fast. Sometimes I find the DHL shipping prices a little sketchy but that might be out of Chinvasion's hands. on 2009-11-06 02:32:29 The Best Stage projector I`ve ever bought. Buy it and you`ll be really happy putting your house, pub, disco ... your party to rock. Great effects.